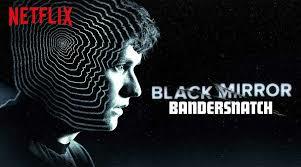 Bandersnatch, a unique episode of Black Mirror. It is a fixed belief of the Classic Cult TV Club that rules are to be broken, well club rules anyway. Once again the “Cultists” are watching a new release and this is a groundbreaking one. Black Mirror is a series noted for delving into the pros and cons of technology and this episode is no exception, exploring new ways of viewing made possible by streaming sites such as Netflix. Described as an “interactive film”, Bandersnatch combines aspects of video game with television and it is.. fun. So do the “cultists” make the best choices, what other courses could they take, and how many different story lines are there? Listen to find out but be warned, there are spoilers. This podcast is aimed at those who have already watched/played Bandersnatch.